WELCOME TO TODD EQUIPMENT LTD.
We are family-owned and operated since 1951 and conveniently located in Fraserville. Just North of Millbrook and ten minutes West of Peterborough. Todd Equipment Ltd. can provide you with the latest and best in outdoor power products to make your outdoor living more enjoyable. Our technicians are Gold Star status and fully trained annually to service what we offer: Polaris Snowmobiles, Polaris Ranger utility vehicles, Polaris RZR sport side x side, Polaris ATV and the Polaris Power Generators. 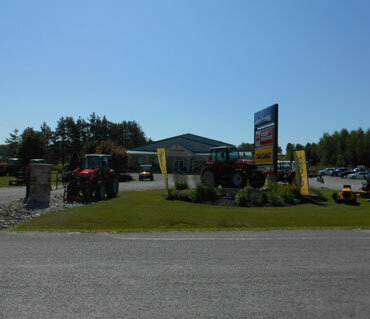 We also carry a full line of Massey Ferguson Tractors from Sub compact to compact tractors and farm equipment, Full line Cub Cadet lawnmower, Cub Cadet tillers, Cub Cadet Wood splitters and lawn maintenance equipment, such as Tanaka grass trimmers, chainsaws and leaf blowers chore equipment Combine this wide array of selections with our friendly and knowledgeable staff, and we're convinced Todd Equipment Ltd. will become your only stop for all of your outdoor power needs for work or recreation. We like to pay close attention to the interests of each customer. From the minute you walk through the door, meeting your needs is our top priority. Founded not only on excellent customer service, but also on the principles of hard work and a focused attitude, Todd Equipment Ltd. has a long list of satisfied customers. Call or stop by, you’ll be glad you did.